Kenil Management Services Pvt. Ltd is a reputed name when it comes to HR & Placement companies in Surat, Gujarat. We provide Staff Recruitment Services across different industries like BPO/IT/ITES/KPO, Human Resource, Financial, Engineering / Technical and many more. 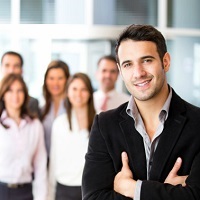 We provide staffing solutions from entry level to executive level with a commitment to quality. We not only place workers but help bring down your total cost of identifying and recruiting talent along with improving the quality of your workforce. We are known for offering cost-effective and valuable Staff Recruitment Services.